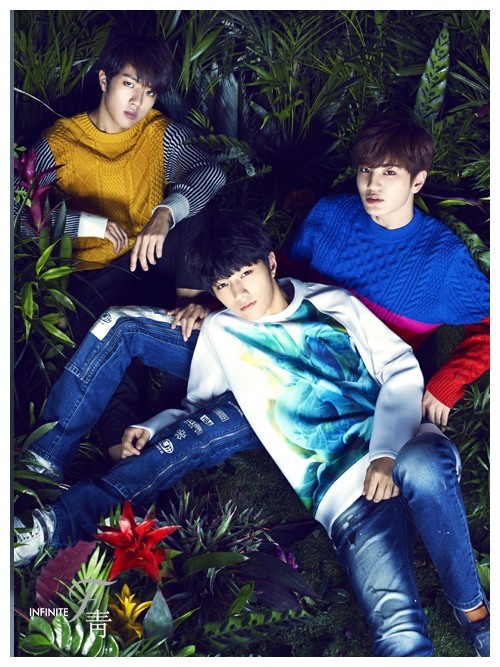 Infinite F, a trio sub-unit of the popular K-pop idol boy band Infinite, dropped its first EP “Love’s Sign” on Monday. Although L, Sung-jong and Sung-yeol had initially debuted the album in Japan last month, the group decided to release the Korean versions of the EP three singles, marking the unit’s official Korean debut. The new EP includes the album’s lead pop ballad single, “My Heart is Beating,” as well as the singles “I Like You” and “My Girl.” The music video of the trio’s latest lead single was also released on Monday. Infinite F is the second sub-unit of Infinite to make its debut following the group’s duo hip-hop project act Infinite H last year. While the original seven-member Infinite idol group is known for its intensive heavy, electro dance pop sound, Infinite F is quite the opposite, showing off a more gentle side of the boy band. The members of Infinite have also taken part in a biopic documentary, “Grow,” which films the behind-the-scenes life of the members as one of K-pop most popular boy bands. The film is slated to open in theaters on Thursday.